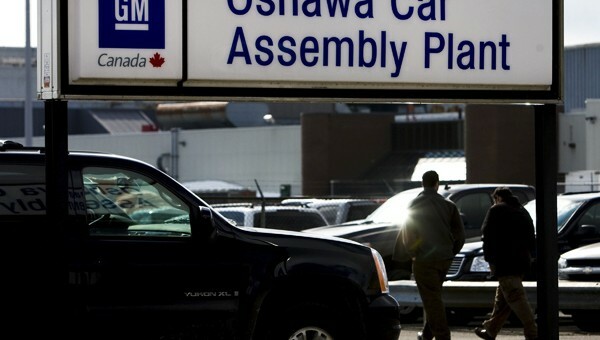 According to reports coming out of Toronto on Sunday evening, General Motors Canada will announce on Monday that as of December 2019 Oshawa Assembly will become superfluous. An announcement is expected Monday morning in Oshawa letting workers know that in 12 months time the plant will not have any product allocated to it, despite commitments made during the 2016 labor negotiations between General Motors Canada and Unifor, the union representing hourly plant workers. Oshawa is currently responsible for final assembly and paint of the outgoing Silverado and Sierra models which are shipped to Oshawa from Fort Wayne, Indiana, along with sharing production of the Chevrolet Impala with Hamtramck, and producing all North American-spec Cadillac XTS models. 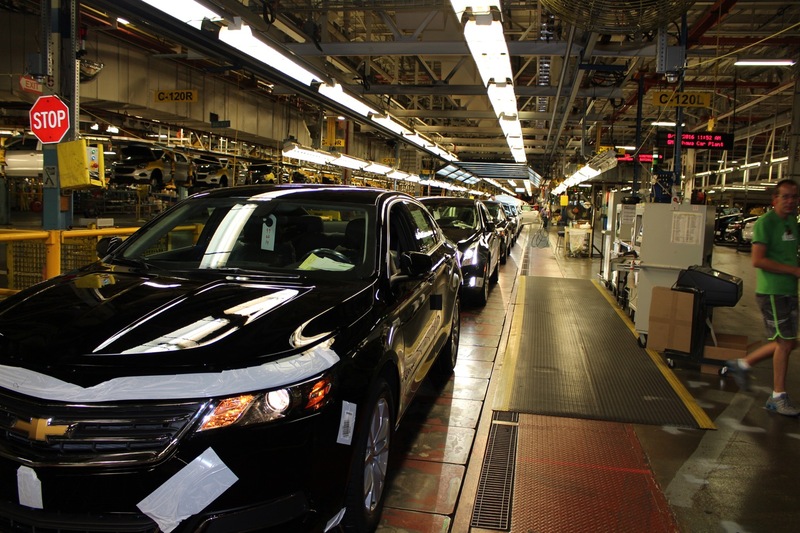 There are currently about 2,500 union positions and roughly 300 salaried employees in the Oshawa area that will likely be affected by the move, however, according to a report from CTV News, other General Motors Canada operations in Ontario appear to be safe. It’s unclear if that includes the Oshawa Technical Center as well. Late last year General Motors Canada was just days away from shuttering CAMI Assembly Plant in Ingersoll, Ontario, after prolonged strike action regarding the production of 2018 Equinox SUVs. The Oshawa closures are part of a global restructuring aimed at moving toward self-driving and lower-emission vehicles. Canada is still expected to largely factor in the future of General Motors, with many of the company’s key autonomous vehicle software and controls, active safety, and connected vehicle technologies coming from the GM Technical Center in Markham, Ontario, along with a planned mobility campus in downtown Toronto. if you sell it here, build it here!!!! eh? or does that only apply to america? No it doesn’t. It only applies to Mexico and China.. Instead of biting the hand that feeds you (85% of all jobs and taxes in Canada are created by American companies), stop whining and/ build your own darn companies! Dont blame your Canadian liberal/ socialist problems of high taxes, electricity and employment cost, and general lack of competitiveness even if making excuses is the Canadian national sport. You lost in the NAFTA battle after much hubris, please learn. Some countries are bigger, stronger, and actually build their own companies instead of expect others to take care of them. Remember when Canadians were laughing at President Donald J. T r u m p? Not laughing anymore. It is the Chinese laughing now, as North American industry is being damaged by Trump’s stupid trade wars and tariffs. Are we tired of winning yet ?? Petty tweets and blow hard rants have real world consequences. Machete Mary is up there crying poverty. Someone should ask her why they spent $500 million last year to retool the plant only to close it next year? Not the most judicious use of funds. My heart goes out to Oshawa and its workers. Miss Mary is a failure. Job losses, sales losses, no profit. We all know she was placed there to appease political activists and not due to her resume solely. I really got a bad vibe when she was hired as CEO. She just comes across as too fake. During the ignition hearings, she sat there with her puppy dog face pretending to give a damn. Any idiot can lay people off and cut product to save a dollar. The real CEOs like the late great Sergio Marchione know how to actually BUILD a company. WTF GM, that’s a 1m vehicle a year operation you’re shutting down (not to mention lost will for Canadian buyers ), IMO Chevy/Holden models could easily been made there also, is Barra trying/hoping to get fired?, she got my vote.. The sooner she is fired the better. Just because it is a large plant is not a business case to keep it open. It’s like buying stuff at walmart you don’t need just because it’s on sale. Reality right now is they have too much capacity, so either you try to increase volume or cut capacity. They have said they are not going to chase volume at the expense of profitability so, that only leaves one option. Hate to see plants like that shut down but you have to run very lean to compete. Well xts is suppose to be canned for Ct6 and future Cadillac models and rumors keep suggesting impala going away. Let’s face it new blazer pricing not too far off from impala and with that plant Closing could be another sign of this …..
Blazer pricing not far apart? My math skills must be lacking! Loaded Premier is $43-$44 and Blazer $50! If you’d like, you can send my that “not far apart”! The impala buyer if spending that kind of money would look at the blazer as the traverse is priced higher and talks about getting rid of impala have been going on forever and with no changes to it at all since 2013 when introduced and Malibu has been changed multiple times. It would only make sense as I purchased new impala at end of 2017 to replace 2014 and I would do blazer next if impala was gone. It’s nice that Barra and company are spitting in the face of the countries that bailed them out ten years ago and shifting production to Mexico. I’m sure that Machete Mary will get a nice bonus for this. Barra made $22 million last year, just like the year before. Not to worry, Management’s compensation is not based on sales, or quality, or market share, or customer satisfaction, or employee retention, it is based on EPS, Earnings per Share each quarter. She will get a raise next year for firing 14,000 people. She’ll be fine. Next on the chopping block…Lordstown. I hate to see a closing but everyone knew it was coming since the Camaro left and they were not given anything significant. Much of the problem is the union local. They have been one of the most disruptive and GM has other plants with unions that are more cooperative. This makes me very happy! A lot like what happened in Australia! I loved that decision also! Your allies are not your enemies. If the plants being closed are Oshawa, Hamtramck, and Lordstown, that potentially means an end to both Cadillac’s XTS and CT6. Johan de Nysschen said XTS was dying but then they redesigned it. He insisted CT6 was staying and it’s been redesigned too but it would be typical of GM to launch the redesigned CT6 with the Blackwing, finally bringing it closer to what it should’ve been at launch, and then immediately kill it off. Shades of Fiero and Allante’. Steve Carlisle has been extremely quiet since his elevation so it would make sense that even more of the Johan strategy of S-M-L sporty sedans is being axed. Hopefully CT6 could move to LGR. Hopefully it won’t start being 100 percent imported from China. Lordstown to close in 90 days. Merry Christmas Machete Mary. When General Motors was going broke, Canada put up 13.7 Billion to save General Motors and Chrysler. General Motors sells approximately a quarter of a million vehicles in Canada a year. Yet General Motors does not want to build any cars in Canada, even though they do not have to pay health care to any of its workers. That is paid by the Canadian government. At least Chrysler is honoring its commitment to those Canadians who are buying their cars and who helped saved their Company. And to those who think that the companies in Canada are American, they are right. Canadians built many companies including General Motors of Canada. American companies then buy those companies out and close them down. That’s the real truth of the matter. Hopefully CT6 could move to LGR. Hopefully it won’t start being 100 percent imported from China. finally bringing it closer to what it should’ve been at launch, and then immediately kill it off. Shades of Fiery and All ante’.